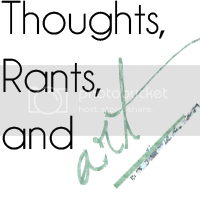 thoughts, rants and art! 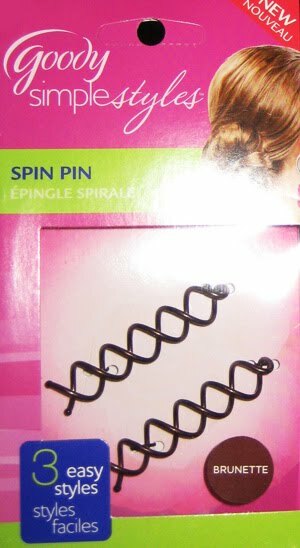 : Review: Goody Spin Pins, Hard Candy makeup and Joico hair care! 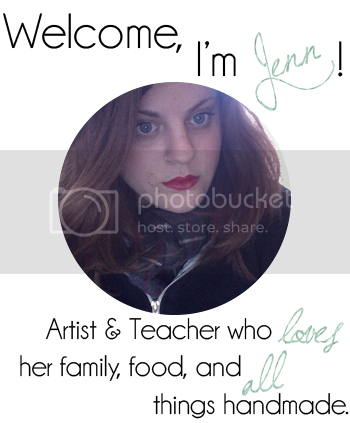 Review: Goody Spin Pins, Hard Candy makeup and Joico hair care! I'm always looking for new beauty products to try. My skin is both fair and dry, so I'm really picky about makeup. Most products are too dark or too greasy, so once I find a product I like I feel the need to tell everyone. The majority of my makeup bag currently consists of makeup brands: Lancome, Urban Decay, and Tarte. I'm been reading all kinds of reviews of Hard Candy Makeup and at it's affordable price, I decided to pick up a few products. Blush Crush Baked Blush in "Living Doll"
Just Nails Nailpolish in "Sweet P"
Hot Smudge, Duo Cream eyeliner/smudge in "Brass Knuckles"
I can say I'm really impressed with this makeup line. "Sweet P" Nail polish is a green with a golden green glitter (reminds me of the gemstone Peridot), the color can be worn sheer or full on. I used 3 coats with a clear top coat, but it probably didn't even need the topcoat. "Brass Knuckles" Hot Smudge is a creamy eyeshadow/eyeliner duo that applies super easy! The colors are a dark blue (almost like a denim color) with a metallic copper. You could easily either color as a liner or eyeshadow. There is am angle brush/smudger included, which actually is a decent quality for being included. The description on the packaging reads "Create sharp or smokey bedroom eyes". I tried these first without a primer, and I can honestly say they held up pretty well. But I always recommend using a primer with anything on your eyes so your eyelids don't stain or feel greasy. This swatches are without primer underneath and were applied lightly. Again, super impressed with Hard Candy Makeup! All of these products were under $10 a piece and totally rival some of my higher end products. I still want to try their lipsticks because I've heard the color selection is pretty great but most of them at the store I purchased at seemed to have their seals broken and I wasn't going to take any chances. I've been wanting to try Goody Spin Pins since I first saw a commercial about them a couple months ago. For those of you unaware with what a spin pin is, they are basically spiral bobby pins that are suppose to hold your hair bun without any ponytail holder or other pins. They work by twisting two of these pins clockwise into your bun. They are suppose to work as long as you don't cross the two pins. I finally saw some for $5.99 at a local target and with my excitement I scooped them up. I got home and immediately tried them. All I can say is I'm really not that impressed. I couldn't get a bun to stay in very well. I'd much rather wrap a bun with a ponytail holder because these were quite a headache to get working. I eventually got these to work right but my bun is looser than I would like it. Would I recommend these? I'm UNSURE. I really love this hair product! I bought it about a week ago from my new hair salon and it's amazing. As stated before, I have really thick straight hair. When I blow dry my hair it tends to get decently frizzy, but this stuff fixes that problem. I apply it after I towel dry my hair and before I blow dry and I don't have to worry about my hair frizzing at all! Even in this crazy heat going on outside! It adds such a wonderful shine to my hair too. Just LOVE THIS! Well that's all to review today. Thanks for reading! **Please note: These are all products I purchased recently and these are my honest opinions of them. This is not an ad.